This is Breen 1-C, another variety that he considered quite scarce. 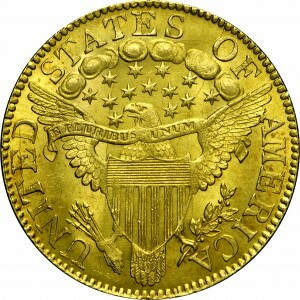 In 1803 the Mint produced 32,506 half eagles with most of the total minted from May through September. The Mint was closed from September 24 through November 1, 1803 for the annual yellow fever epidemic. 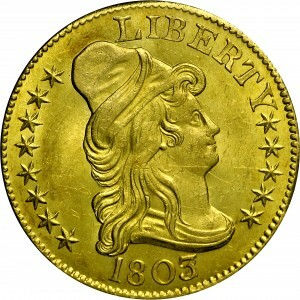 Walter Breen speculated that those struck before the Mint closed may have been coins with earlier dates. Purchased from Se Ro Coins, Inc., August 25, 1975. 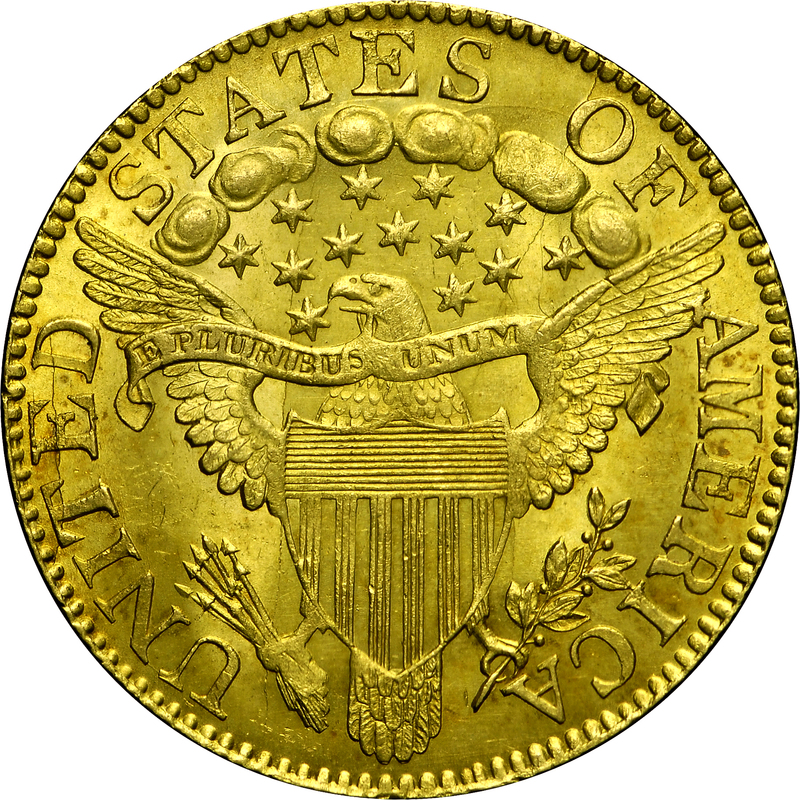 "Obverse: 3 over 2, 2 projecting behind 3 at two points, but not to front of 3 at its base knob, as it does in the second obverse. Residual base of 2 within bottom loop of 3. 3 clear of bust. T lacks its bottom right serif, and Y its left. Star 9 has smaller point facing Y. Clashed. 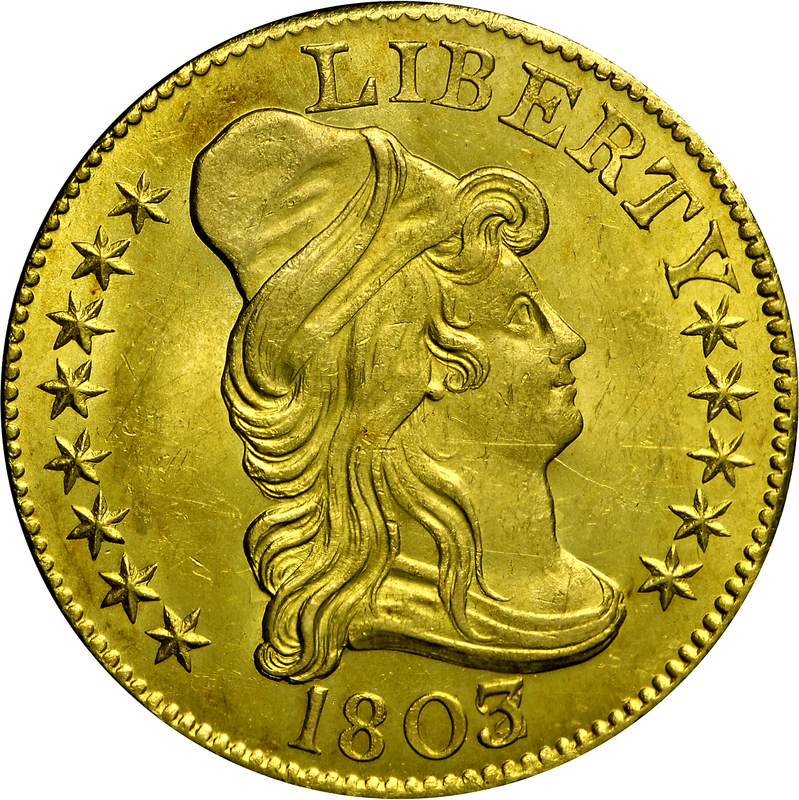 Reverse: That of 1802F. T's lack right base serifs. Cracks: edge - arrows claw - shield at right wing - ribbon - stars - cloud under TE; TED. Clashed."